The Hotel Hostal-Sport has multipurpose rooms, activities for companies and all the necessary services so that meetings and business stays are a success. 1) THREE MULTIPURPOSE ROOMS. Equipped with projector, screen, flipchart, writing material and water. They have access to the hotel's gardens and natural light. 2) BUSINESS MENU & COFFEE BREAK. Menu service, with the traditional cuisine of our restaurant, and coffee break when requested. 3) ACTIVITIES OF WINE TOURISME & TEAM BUILDING. We offer different type of activities to combine working sessions with the discovery of Priorat. XVIII century hall, a spectacular room with Catalan vaults. 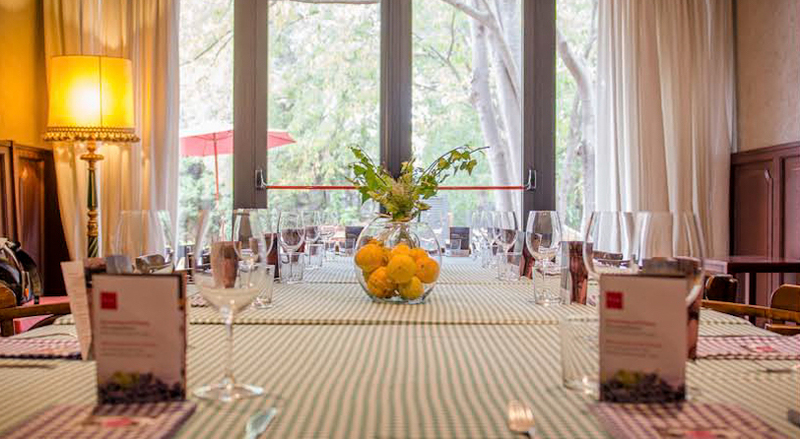 It is a space specially designed for large meetings or gatherings. Celebrations and events can hold up to 100 people. A multipurpose meeting space ideal for groups of fewer than 60 people. Montsant Hall has a capacity of 60 diners. It is a very versatile room which often serves as a prelude to the main hall. We do tastings in the lounge and after dinner in the great hall. Or is also used independently. 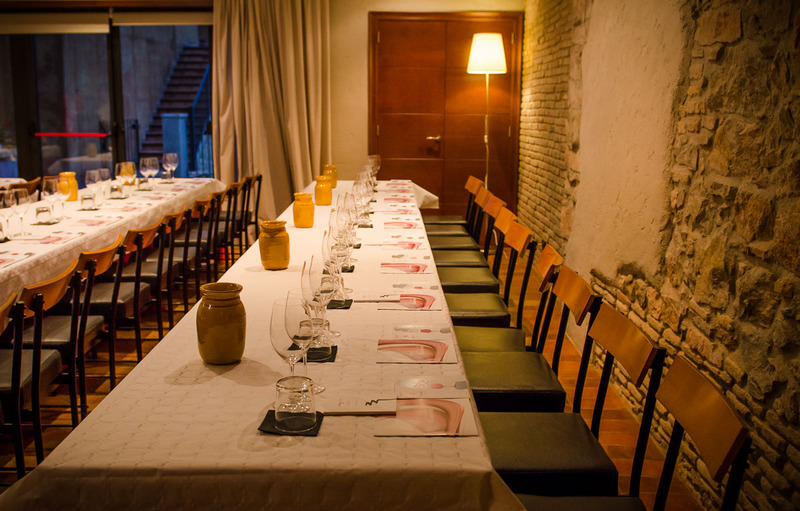 Activity for gourmets to enjoy the flavours and aromas of cheese paired with wines of Priorat. A recognized tuner cheeses conducts the activity. Smell, taste, make coupages, bottle and design your wine label. A team work to promote creativity and cohesion. Visit two exclusive wineries of Priorat to know and taste their wines. Then, wine pairing menu in a local restaurant. A fun way for members of the company to get to know each other and work as a team with incredible and immediate results. Activity to test competition among small groups based on wine-related tests. Fork breakfast to gather forces to the harvest in the vineyards of Buil&Giné, trading grapes with feet and obtaining the first must. Preparation of snacks to enjoy the cuisine and join the group. A fun game to demonstrate gastronomic talent and team coordination. Tasting of emblematic wines of the region to identify characteristics of the Priorat wines, nuanced by the terroir, variety, climate and human value. need to know something more.